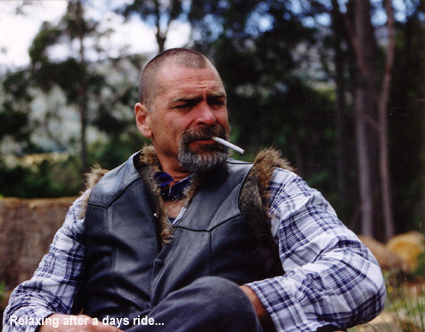 Motorcycle camping is a relatively inexpensive way to travel and is a truly exciting adventure. There are of course challenges, namely the need to travel with minimal gear. These days many people stay in hotel/motels or a cosy cabin, reducing the need to carry very much at all. 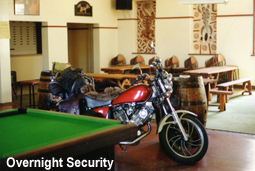 Security is one of the problems staying at hotels or motels, as motorbikes are a lot easier to damage, or steal than a car. As more people tour and travel on bikes, the ‘tourer’ as opposed to the ‘biker’ is often better received. Although I have had motels turn me away. However I did stay overnight on Australia Day in a Queensland pub and the publican insisted that I put the bike inside the pool room! Personally, I would rather find my own camp. This way you can select the location you wish to stay overnight, and enjoy the experience of solitude or a bush setting. Caravan parks or camping grounds are also well worth the occasional stay. They offer an opportunity to wash clothes, and clean up after a few grimy days on the road. Before you run off and buy gear for motorcycle camping , think about how often you will be using it. Will you use hard panniers or soft saddle bags? 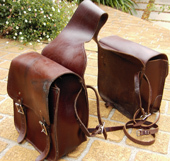 My preference lies with saddle bags, as you can unsling and carry them into the tent, or any other accommodation. Many people prefer hard lockable panniers that stay on the bike. Unlike backpacking, weight when motorcycle camping is not really a problem. However, what you do need to avoid are the big bulky items that take up lots of space. Even if you are only heading off for a week-end, a simple checklist for equipment and items is a good idea. Depending on where you are travelling, a tent is important part of staying dry overnight. If you have ridden in rain during the day, the least you can give yourself is a dry night’s sleep. Again, if you plan to do a lot of camping in the future you might want to spend a reasonable amount on a tent. My first long motorcycle camping trip across the Nullabor (picture above) was with a $20 tent from Kmart. Twenty years later I have a good dome tent with a fly, totally bug proof, lightweight and packed in custom made leather bag. Undoubtedly, a good sleeping bag is an important part of motorcycle camping equipment. If you are plan to travel in colder climates, or even inland during winter a good bag is essential. The sleeping bags available today stuff into bags half as small as they were 20 years ago. To keep them dry either carry the bag in one of your panniers or saddlebag. If carried outside place it in a totally waterproof covering. There is nothing worse than pulling out a sodden bag, warmth factor is zero. Once on a summer ride from Brisbane to Alice Springs, I chose to carry a small swag swung across the back rather than a sleeping bag. Whilst the equipment carried below may horrify some, this configuration allowed me to carry enough gear to be comfortable and be equipped for every occasion. The primary consideration when setting up for a long trip and carrying a lot of gear is safety. You will notice that the ‘sail’ surface of my gear is still reasonably low, and weight is also down low and evenly dispersed. 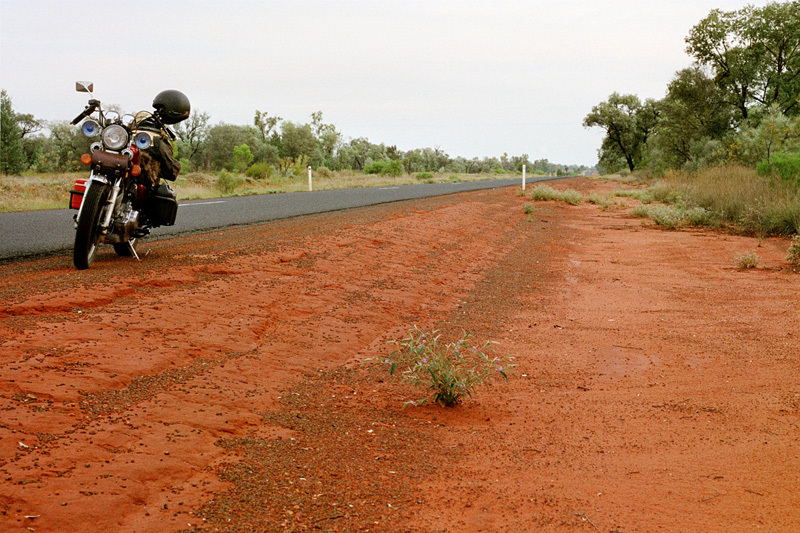 This ride was over 9,800 kilometres, from Hobart to Cairns and through the outback regions of Queensland and New South Wales. There is no doubt that motorcycle camping is one of the last big freedoms of the open road. For extensive camping trips it pays to be plan well ahead, be adequately prepared, and a carry good tool kit to resolve breakdowns.